Any organisation wishing to benefit from the support of Philea must become a member by acquiring a social share. The price of a share is worth CHF 200. For members receiving financial support from Philea, the amount of the shares must correspond to 5% of the outstanding amount of financial support. A member’s shares are used to cover part of the risk on the financing granted by Philea. The beneficiary members of Philea have the opportunity to take part in the strategic decisions of the cooperative through their right to vote at the General Assembly, on the principle of 1 member = 1 vote – regardless of the number of shares owned. Philea has developed a specific methodology for analysing the credit risk and the social impact of the organisations that benefit from its support. This methodology was developed with the aim of fostering partnerships that meet the requirements of seriousness and measured risk taking and, at the same time, to ensure a high social and societal impact. It is used by local correspondents to evaluate funding applications submitted by beneficiary members and is updated annually. At the end of the examination of their request, the selected members are approved the PHILOS certification. The measurement of these different criteria and their weighting makes it possible to assess the financial risk taken by Philea for each operation. management of human resources and working conditions: decent wages, fixed ratio between the highest and the lowest salary, union representation, training, etc. products responsibility: quality, compliance with standards, after-sales services, etc. societal impact: local job creation, contribution to local public finances, integration of marginalised populations, etc. environmental impact: reduction of negative externalities such as pollution, noise, support for reforestation, depollution, etc. transparency: publication of accounts, compliance with standards, external evaluation, etc. The measure of the social impact highlights the beneficiary member’s contribution to society and its development respectful of the principles of Social and Solidarity Economy. The strengths and weaknesses drawn from these analyses make it possible to highlight the points that need to be improved or that require specific follow-up by the local correspondents. The measurement of social impact therefore makes it possible to assess needs in terms of capacity building and technical support. So many needs that can then be supported by Philea in the context of its non-financial activities. The NGO Appui au Développement Intégral des Collines (ADISCO) has been a member of Philea since 2012. This organisation’s mission is to support the emergence of a national social movement capable of carrying its own development and influencing policies for the benefit of the most vulnerable layers of the population. It mostly aims at promoting a better organisation of family farms. It works in close collaboration with farmers in the country and, in particular, small coffee cooperatives, whose emergence it supports. At the time, small coffee producers organised within the National Confederation of Coffee Farmers Associations of Burundi (CNAC) faced the will of the World Bank and the Burundian government to privatise the coffee sector. 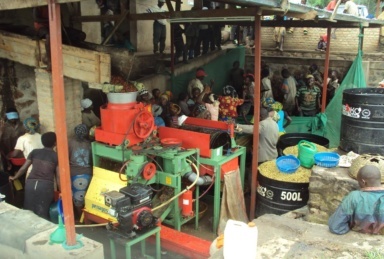 Washing and pulping plants (the first stage of post-harvest processing of coffee) previously managed by state-owned companies were then sold through tender procedures. De facto, the conditions imposed for the purchase of these factories precluded any possibility for small producers organised in cooperatives to acquire these factories and thus to control and manage autonomously a part of the transformation process that would guarantee them better selling prices. ADISCO then joined forces with Philea to set up a guarantee mechanism allowing financing through a local bank, the acquisition and installation of coffee washing stations for the benefit of the cooperatives affiliated to ADISCO thus circumventing the multinationals that had bought state stations. Since 2012, these loans have enabled 15 cooperatives to build their own coffee washing station and to weigh in negotiations with the government and the World Bank in the process of privatisation of the coffee sector. Thanks to these factories, the prices offered to members of these cooperatives have improved significantly. In addition to supporting the coffee sector, ADISCO wants to promote the food sector (maize, cassava, on which small farmers live throughout the year, unlike coffee that produces income only at harvest time. The funding granted by Philea also enabled the cooperatives to finance storage operations for food production in order to sell them at a better price during the lean season. 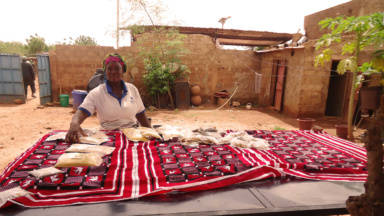 Despite the difficulties related to the vagaries of climate and a complex political situation marked by a latent though persistent civil war, the small cooperatives supported by ADISCO have been able to take off. Thanks to the partnership between ADISCO and Philea, more than 5,300 households, about 33,400 people, have been able to improve their living conditions since 2012. Today, through a project funded by the Geneva Federation of Cooperation (FGC) and managed by Philea, ADISCO continues to support these emerging cooperatives by financing technical support, aimed in particular at the labelling of processed products and their commercialisation in local markets. In 2015, the work of ADISCO was awarded the “King Baudoin Prize for Development in Africa”.